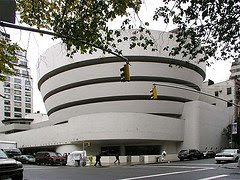 If you have ever seen a building designed by architect, Frank Lloyd Wright you will have witnessed an architectural style which helped change the face of contemporary architecture. Wright’s vision for public and private structures was unique and immediately identified. His designs have been the inspiration for other architects. But, there is nothing like an original Wright creation. His buildings are testimonies to his creative genius. Being distinctive sets one apart and everyone has something that is distinctive. Whatever unique characteristic you might possess allows people to remember and recognize you. In some way we all want to be remembered as unique. Perhaps our achievements are an inspiration to others, the way we treat others, our wisdom or the way we handle adversity. Whatever it may be, uniqueness is a good thing. For Jesus followers to be God’s building is the ultimate in living a unique life that reflects the Architect. It is an awesome responsibility. To be the living testimony of God’s creative genius means that when people see us and know us they will have witnessed a life that is unique and different; perhaps even an inspiration to be God’s building as well. To be an original creation of the master Architect is a privilege. There is no better way to be unique. By being God’s building we are his examples of what he is able to do with anyone’s life. Whoever sees us should be able to recognize and remember our “style” as being life changing and one worth emulating. creative genius in my life. You are a testimony of God's creative genius. I have loved and been blessed by your inspirational thoughts. Today's blog is my very favorite one! Thank you for your consistency, time and effort.